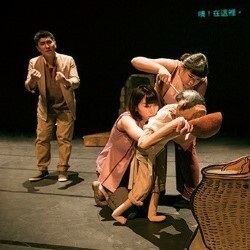 Sign language meets puppetry in this engaging, BSL-signed production based on a short novel by the revered Taiwanese author Huang Chunming. Pinned to the expected delivery and unfortunate loss of a much-desired fish, the conflict between a grandfather and grandson unfolds in a touching, richly sensory experience aimed at – but by no means limited to – hearing-impaired audiences. Shinehouse Theatre specialises in creating inclusive, socially-conscious performances. Here in its European debut, it draws upon diverse skills to shine a warm and loving light on the subtly complex cultural values that can exist between the generations.